During my time as an RPI student, I have been actively involved in multiple music ensembles since my freshman year. I am a member of the Symphonic Band and I was the Clarinet Section Leader for one year. I founded the Rensselaer Clarinet Choir my sophomore year and managed the group for a year and a half. I continue to perform and influence the direction of the group. I have been involved in the Rensselaer Music Association, a group that oversees over 10 large ensembles and 15 small ensembles as well as services for student musicians. 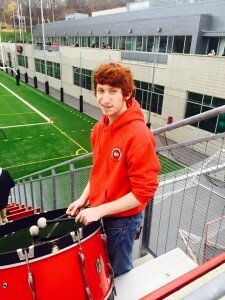 I am one of the managers of the RPI Pep Band. During my time as manager, I have made major strides in expanding the band’s leadership system. I have also performed in the Afro-Cuban Jazz Orchestra within the Jazz@Rensselaer program at RPI. During my sophomore year, I became a brother of ACACIA Fraternity. I now currently serve as secretary for my chapter.